It is a novel of women exhausted by violation, misery, and repression, “able to capture joy in the midst of oppression,” explained Habayeb in her very emotional address during the ceremony held on December 11 on the Tahrir Square campus of the American University in Cairo, a celebrated event attended by the AUC community, writers, and distinguished guests of Egypt’s literary milieu. 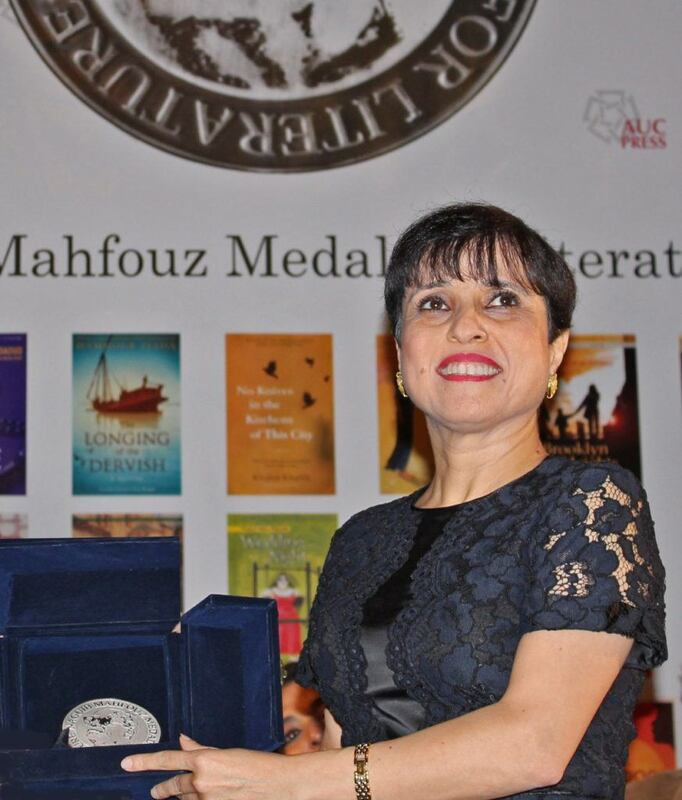 In this video interview, just before the ceremony, Habayeb talks about her award-winning novel “Velvet” and her main character, the Naguib Mahfouz medal, and Jerusalem. Habayeb was born and raised in Kuwait, where she earned a BA in English language and literature. In 1991, when the first Gulf War erupted, she fled to Jordan. Her short stories and poetry as well as her two previous novels have received much critical praise. “I decided a while ago to live writing and live within it,” explained the author during her emotional address, while emphasizing that her Palestinian heritage was very much part of her story.